Hello Tuesday! 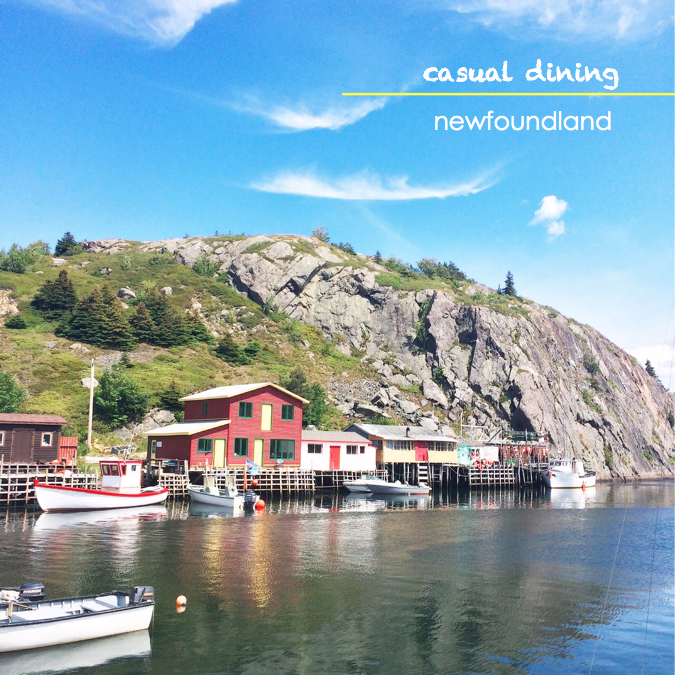 With sunny days and temperature reaching almost 30C, I am ready to travel out east to Newfoundland again for another relaxing late summer vacation. 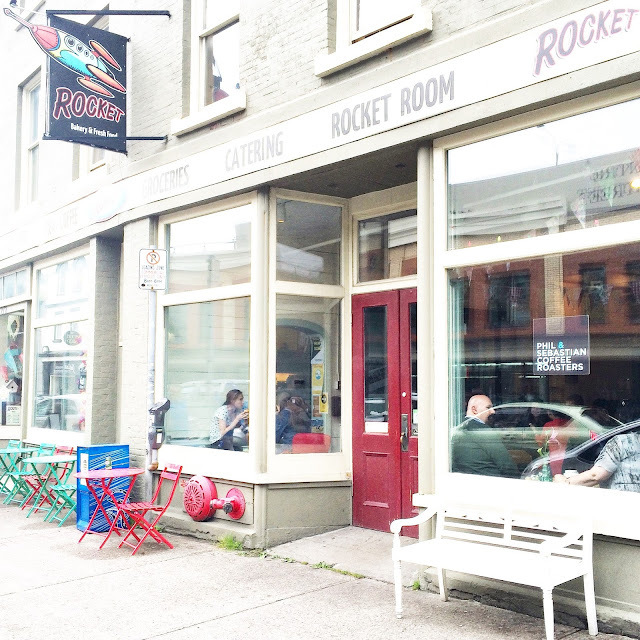 I have tried out a few places when visiting St. Johns and today, I am sharing with you one of my favorites: Rocket Bakery & Fresh Food on the Style at Home Blog. 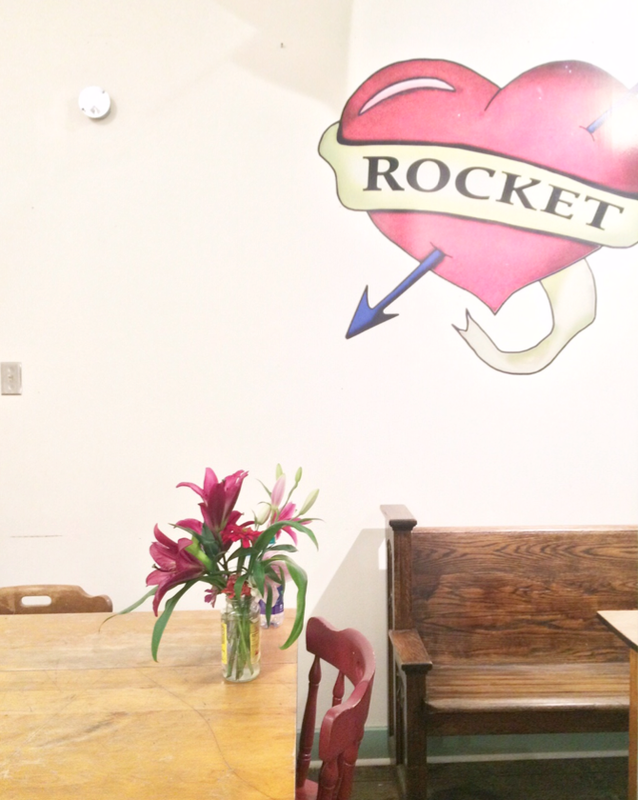 With fun decor and delicious sandwiches and sweet treats, I was almost at Rocket for lunch everyday. If I live in St. Johns, this is what I would be doing right now: enjoying a cup of gourmet coffee to kick start the day!